When Dimitri, from The Netherlands, challenged me to write about the romantic gardens of Porto, I immediately knew where to start. Although Porto has many interesting gardens, there is one in particular that holds my attention. 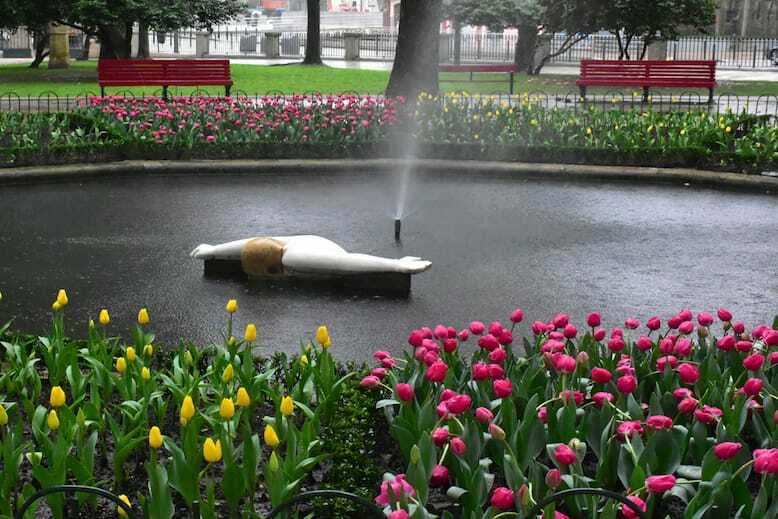 After all, a passionate writing demands a symbolic object; and what a better start to my gardens’ series than a garden dedicated to the women of Porto? 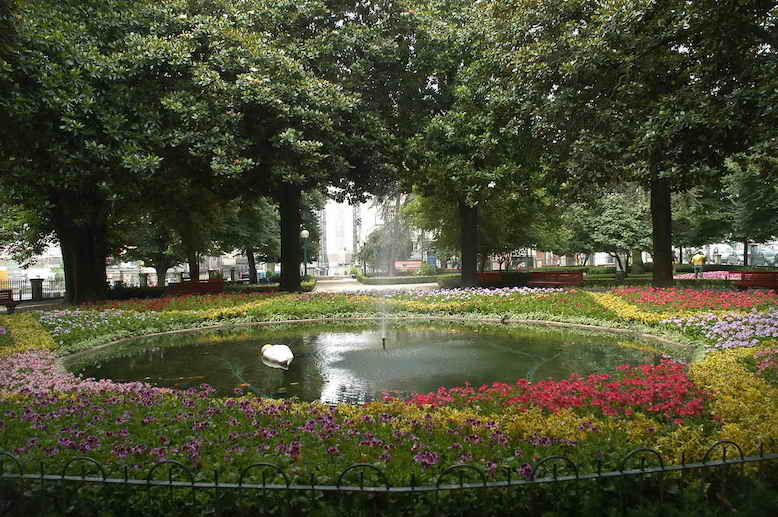 I am writing about Jardim de S. Lázaro, or the Garden of St. Lazarus which, on the video where I explain why the flower of Porto is a camellia, I already told you that it was the first public garden Porto. A garden which, during the seventeenth century, was just a field on the outskirts of Porto, where there was a leprosarium whose patron saint, St. Lazarus, gave the name to this area of the city. Garden of St. Lazarus in the early twentieth century (1905), on a postcard of that time. 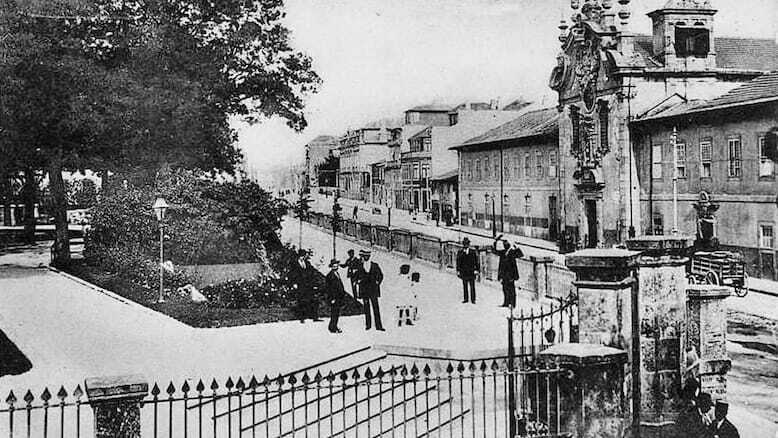 Garden of St. Lazarus, at 1905. Photo taken by Alberto Ferreira. 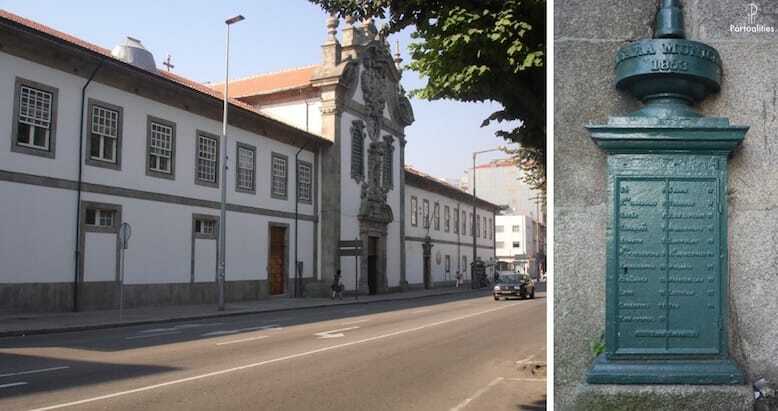 In 1722 it was founded an orphanage for young ladies, that, by the way, has one of the mysterious iron boxes of Porto; and in 1783 it was the time of the Convent of the Capuchins of St Antoine of the City, which nowadays holds the Public Library of Porto. In between these buildings there was an empty space where every week a market of pigs took place (yes, you read it correctly). Once an year, on the day of St. Lazarus, it was customary to donate a silver ring, on the altar of the saint. The ancient orphanage, that is now a school, and its mysterious iron box. But let’s go back to the women of Porto. During the Portuguese Civil War, Porto was surrounded by a siege between July 1842 and August 1833. 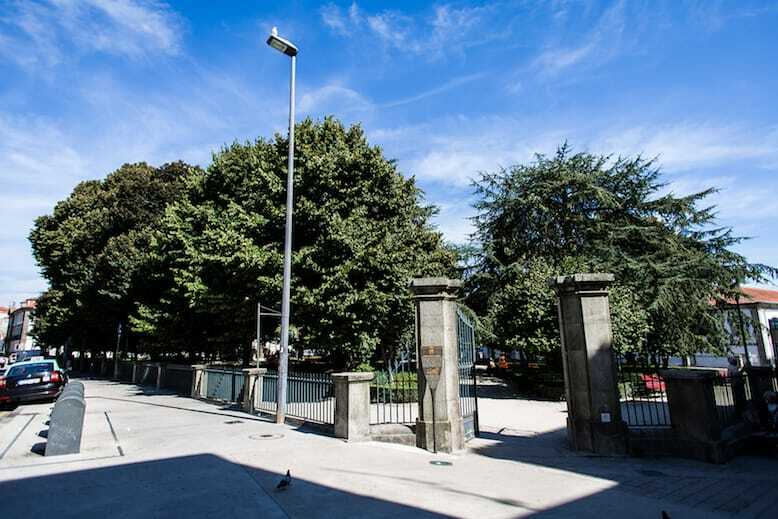 It was a heavy siege for the locals: the attacks of the opponent troops, combined with silent enemies such as cholera, hunger and cold too, transformed the beautiful trees of Porto in wood for the population. 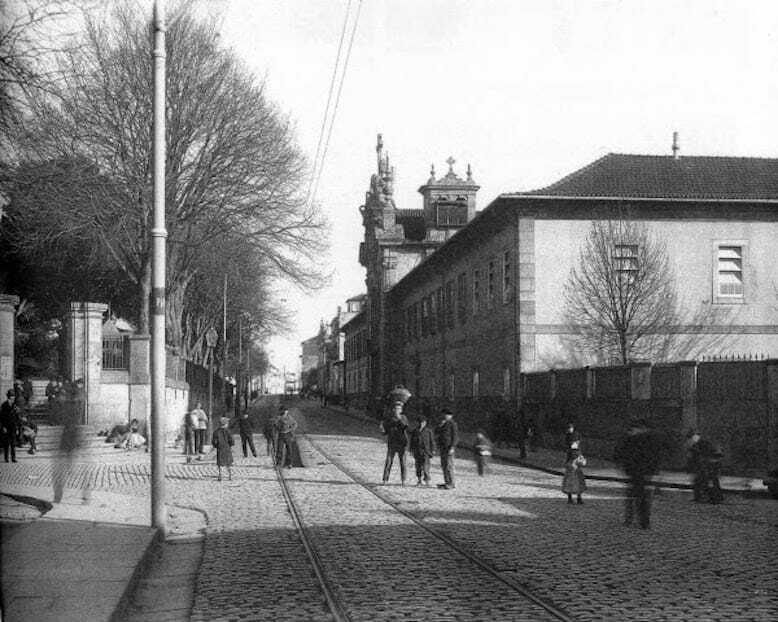 Thus in January 27th 1833, our king Pedro IV ordered the construction of the Garden of St. Lazarus, dedicated to the women of Porto, to somehow compensate them for the severe conditions faced during the Siege of Porto. One of the entrances of the garden of St. Lazarus. Photo taken by Miguel Nogueira. The bandstand of the garden of St. Lazarus. Photo taken by Miguel Nogueira. 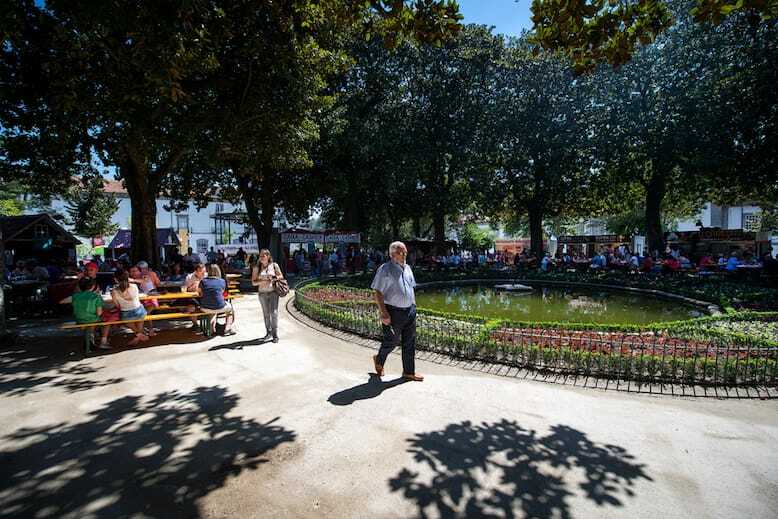 The garden of St. Lazarus during a recent gastronomic festival. Photo taken by Miguel Nogueira. The commitment of the king was taken so seriously, that in 1838, Porto’s City Council published a regulation stipulating “ not only the garden conservation, but also the presence of a patrol, within the space, to ensure the scrupulous compliance with the instructions mentioned (…)”, in particular, the ban on entry of “beggars of both genders, men with gears on their backs, unaccompanied children and any person who, dressed less decently, may belong to the classes indicated above”. The goal of these strict measures was to create a pleasant atmosphere for the ladies of Porto! Photo taken by Porto Lazer. The Garden of St. Lazarus, although modest in size and with a narrow view towards Porto, quickly became popular among the fine society. 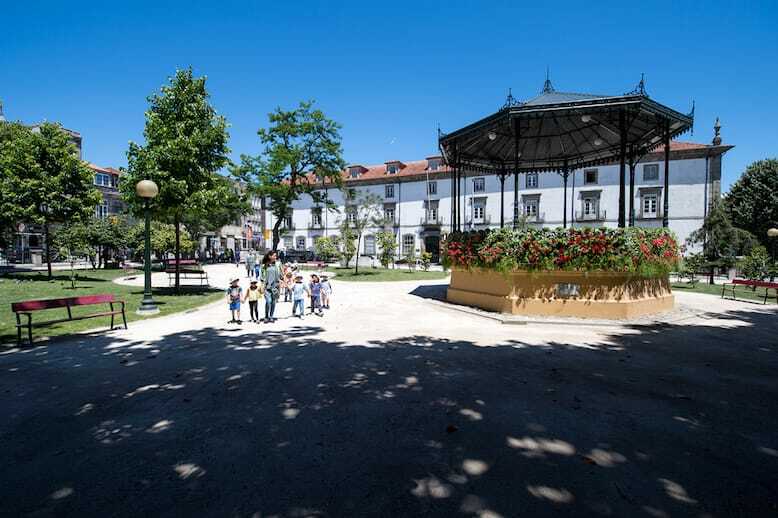 It was a mandatory meeting place for the families of Porto and it became well known in the media of those times. For 30 years, it was the epicentre of foppery and fashion. António Cruz (1907-1983), Coreto. Garden of St. Lazarus, 1941. In Catálogo da Exposição António Cruz 1907-2007 no Museu Nacional Soares dos Reis de 14 /Dez / ’07 a 31 / Jan / ’08. With the opening of the Crystal Palace Gardens (1860) and the Garden of Cordoaria (1865), the Garden of St. Lazarus was quickly forgotten. Autumn arrived in the history of this beautiful garden. The garden of St. Lazarus doesn’t have a beautiful view towards the Douro river, yet it contains a sweet fragrance that contrasts with the urban environment in which it exists. 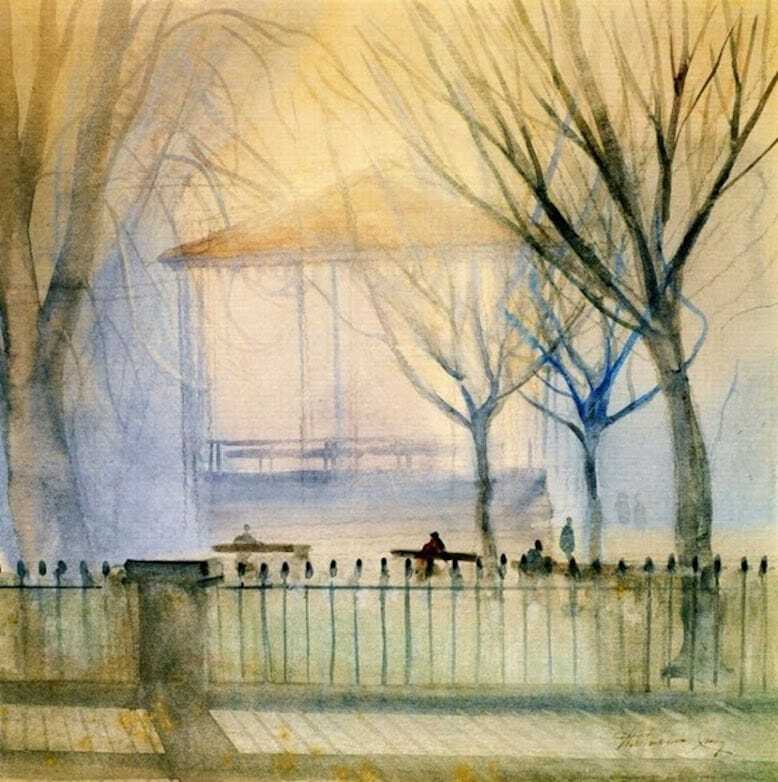 If, on one hand, you cannot ignore the presence of cars all around you, no less strong is the sound of the fountain in the middle, the shadows of the trees, the colourful camellias during Winter days. The garden of St. Lazarus is the meeting point of pensioners playing cards, a transit point for many places, a resting place for tourists. And for me, one of the most romantic gardens of Porto.